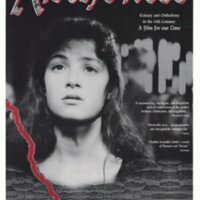 Anchoress is a little-known film that explores one a significant expression of spiritual devotion—that of female anchorites—during the high middle ages. Directed by Chris Newby, the film was released in the United Kingdom in 1993 and received generally good reviews from critics and the small audience that saw the film. It follows a 14-year-old girl from a small town in England during the fourteenth-century and her journey to becoming an anchoress. The movie begins by showing the main character, Christine, and her obsession with the Virgin Mary. Noticed by the local priest, who wants to boost the reputation of the local church, he manipulates her into becoming an anchoress and then marries her little sister. The local priest then clashes with their mother and, claiming she is a witch, has her murdered. This event leads Christine to become completely disillusioned with her new life, and escapes from her cell. Consequently, she is put to death for abandoning her role. Some critics praised the artistic decisions that enhanced the story. Specifically noted was the choice to film in black-and-white, further separating the fourteenth-century world from its modern audience. Further, an interesting creative decision in the film is the absence of background music except during pivotal moments. I think that the movie creators chose to leave out background music in order to reflect the extremely monotonous life of an anchoress. An anchoress is a woman who chooses a life of extreme asceticism in order to better contemplate God’s grace and reach a higher spiritual plane. They were typically walled into small cells attached to their local church and were not permitted to leave except with the church’s approval. Therefore, the lack of emotional background music reflects the solitary life of an anchorite. Further, the lack of background music also places the audience within the story. The music in films usually signal to audiences what they should feel, but in Anchoress the audience is left to wonder which emotions or intentions are being expressed at the moment. Though it may be unnerving for modern viewers to watch a film without background music, I think this choice complemented the theme and message of Anchoress. My biggest issue with this film is how it seems to jump from event to event with little or no transition, leaving the audience confused about the plot line in certain spots. For instance, in the beginning of the film, the scene jumps from Christine kissing a statue in a field to her begging to become an anchoress. There is little explanation for some of the characters’ motives and ultimately the storyline was a little confusing. I wished Christine’s decision to become an anchoress was better explained, as this is an aspect during the middle ages that is not widely explored in film. Additionally. The film could have focused more on the plot between the local priest and Christine’s mother, as that conflict ultimately leads to Christine’s death. Anchoress was based off of a real anchoress who lived in fourteenth-century England (Surrey) named Christine Carpenter. Though she produced no writings (and was likely illiterate), there are written accounts of her life as an anchoress. There is evidence that Christine Carpenter left her cell while she was an anchoress, but that she had managed to avoid punishment. In fact, there are letters written on her behalf in order for her to return to her cell, though there is no explanation for why she was able to garner this support. It is curious that the director chose to have Christine receive a fatal punishment for abandoning her calling as an anchoress when there is evidence proving otherwise. Overall, Anchoress is a movie that takes creative risks and succeeds in portraying the essence of female spirituality in the high middle ages. Though the film could have been better with a more coherent plotline, the story reflects the life of an anchoress and the responsibilities, consequences, and honors associated with it. 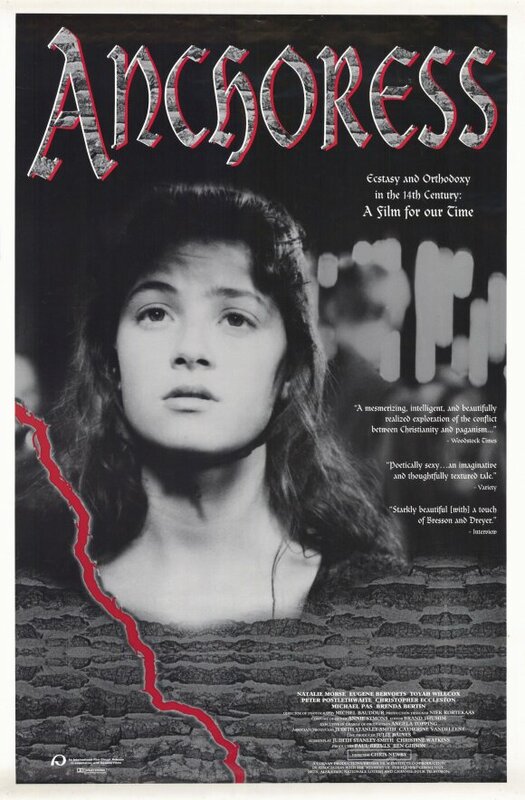 Anna Mathias, “Anchoress (1993),” Medieval Hollywood, accessed April 21, 2019, http://medievalhollywood.ace.fordham.edu/items/show/180.